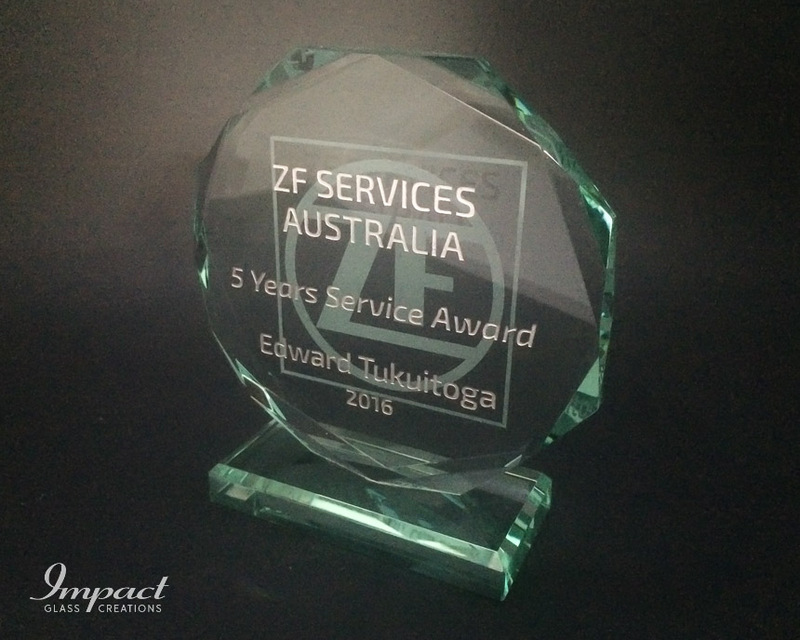 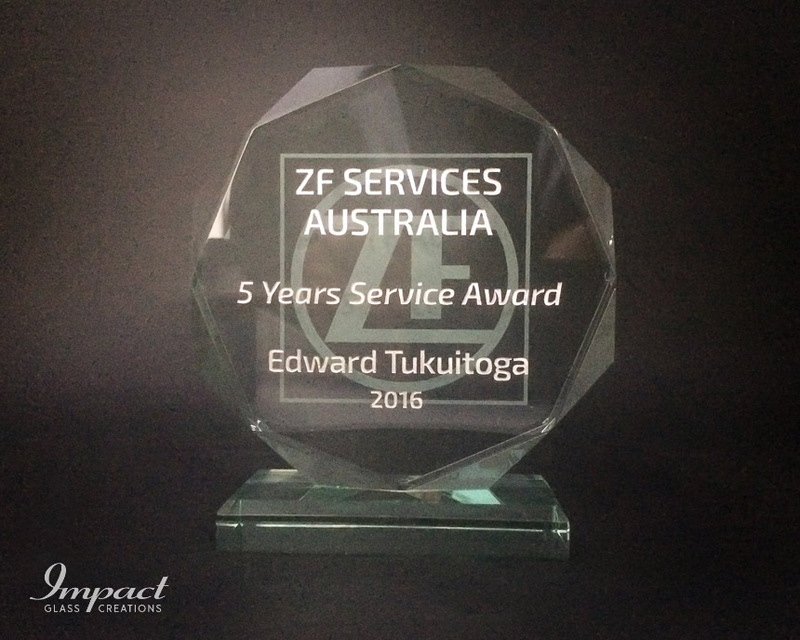 Usually, companies start recognising service at the 5-year milestone, in this case, we use the same shape, but in different sizes to denote years of service. 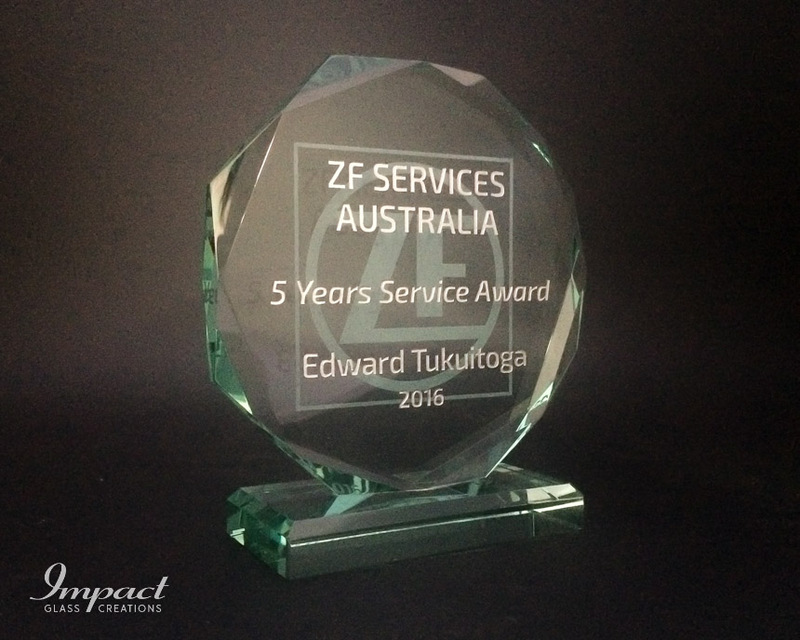 This is an example of “Jade Crystal” with distinct green colouring which highlights the engraved or printed text. 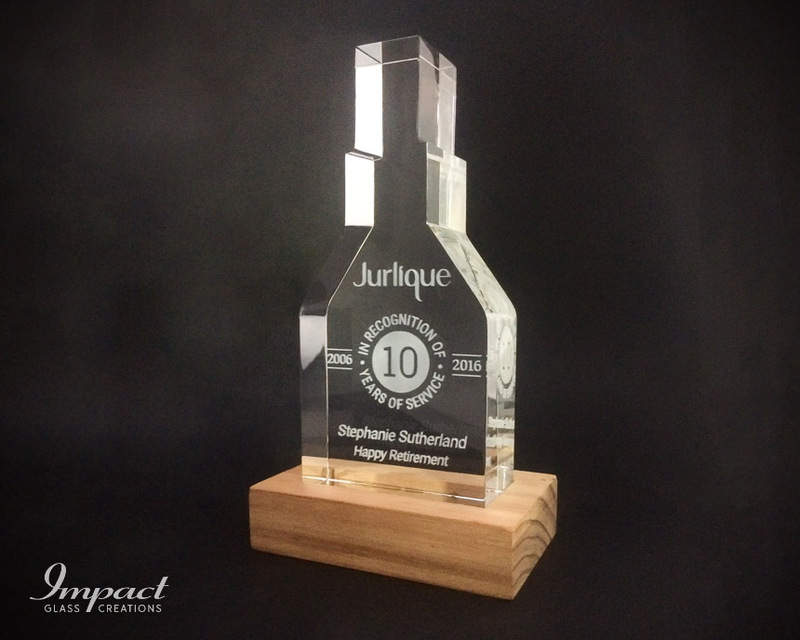 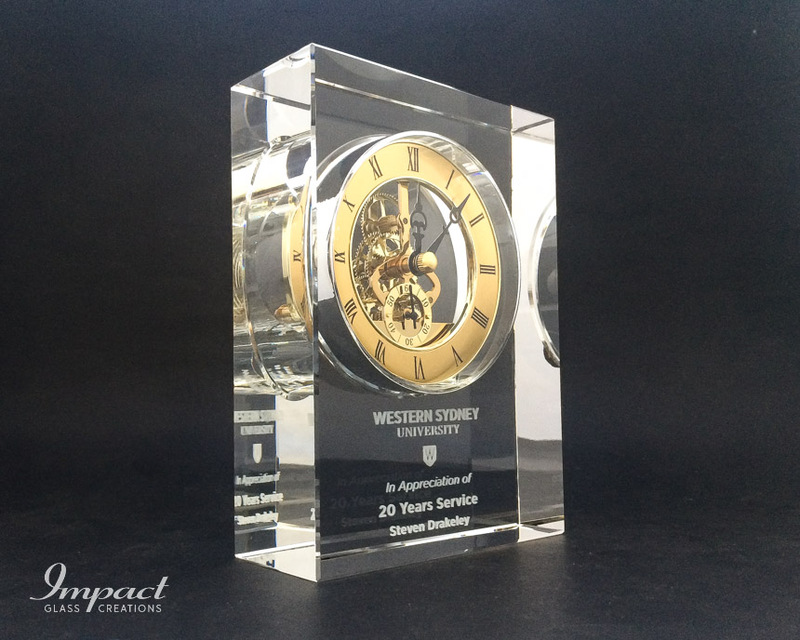 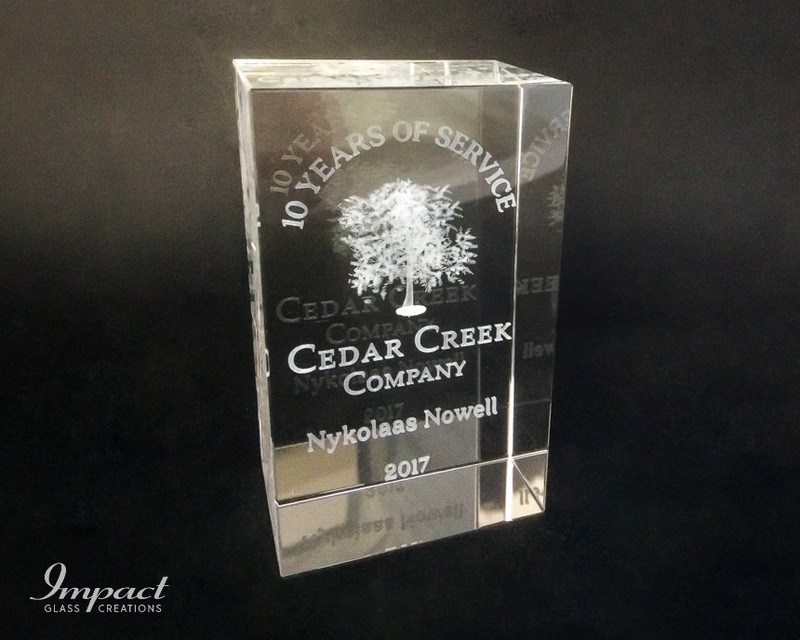 Available in 6, 7 or 8 sided form and in various thicknesses, this award shows the effect of a bevelled edge, engraving on the front and rear of the award and in this case, the etched finish of the text.